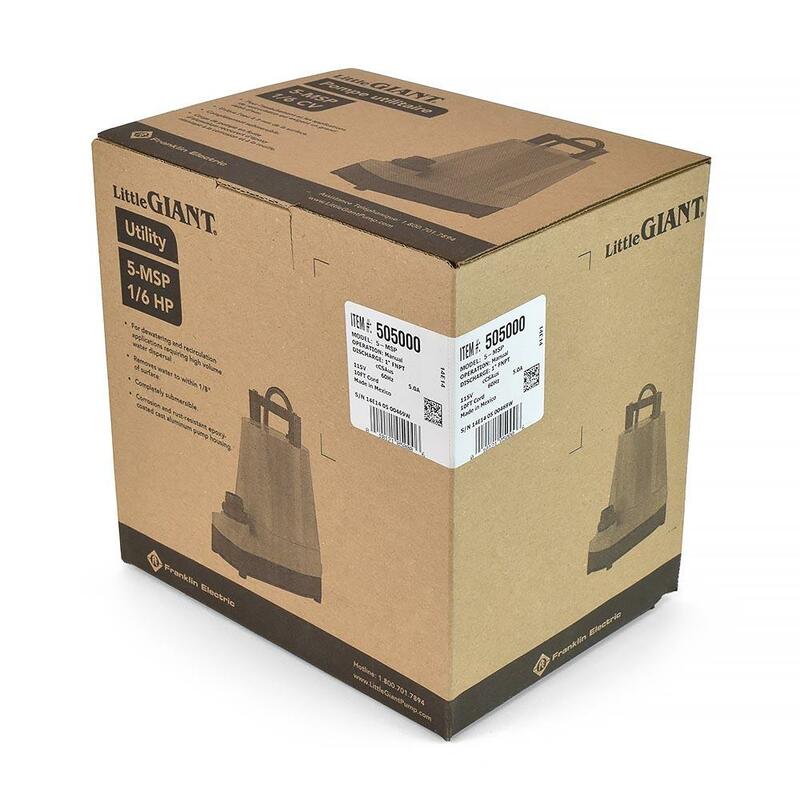 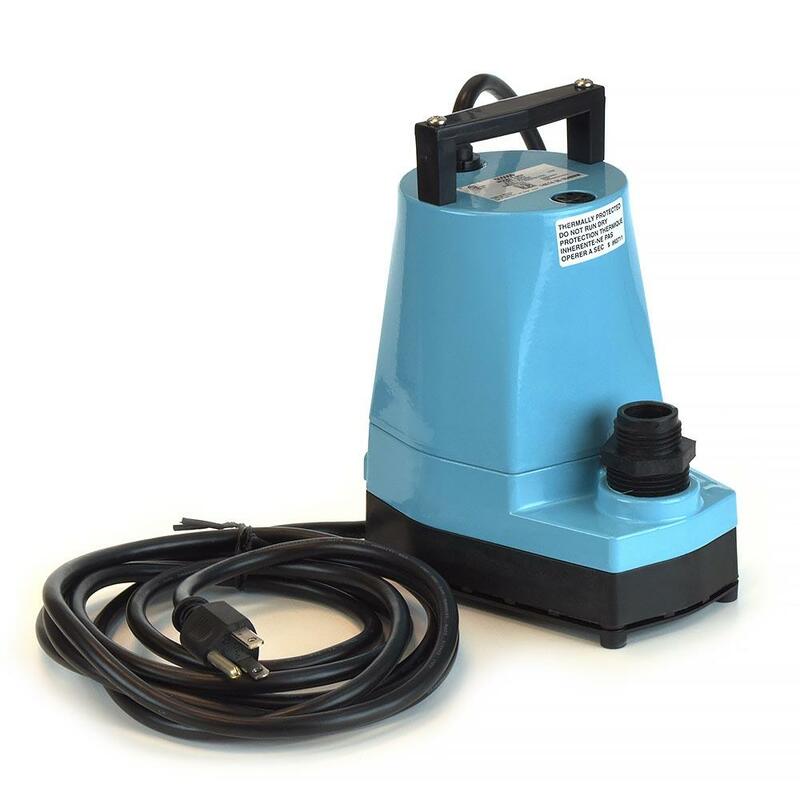 The 505000 from Little Giant is a Manual Submersible Utility/Sump Pump w/ 10' cord, 1/6HP, 115V. The Little Giant 5-MSP series pumps are capable of pumping water down to 1/8" level. 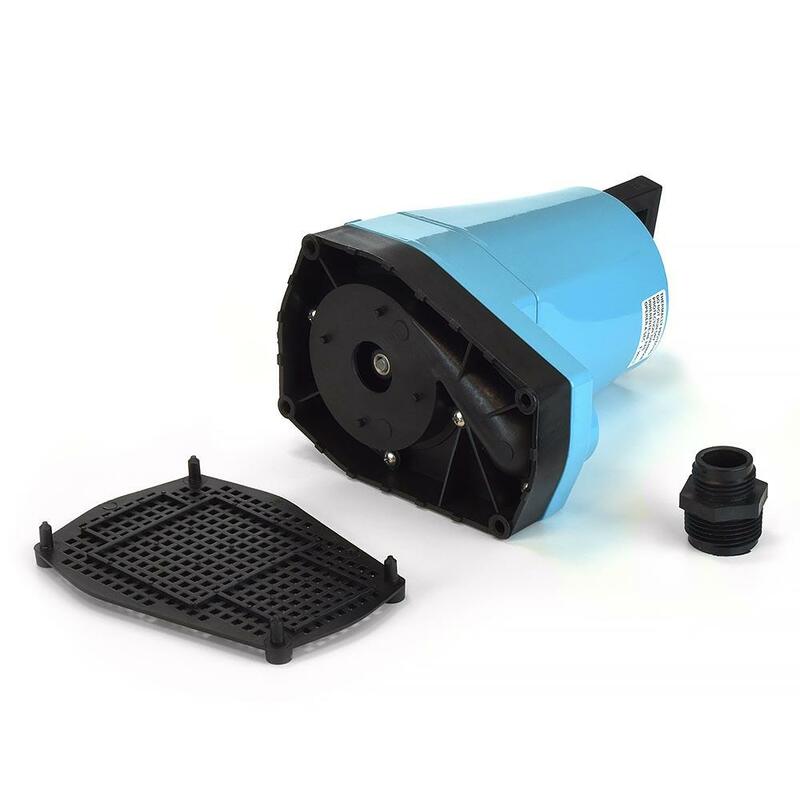 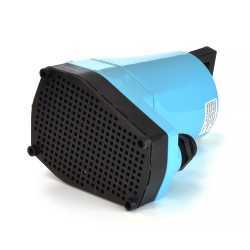 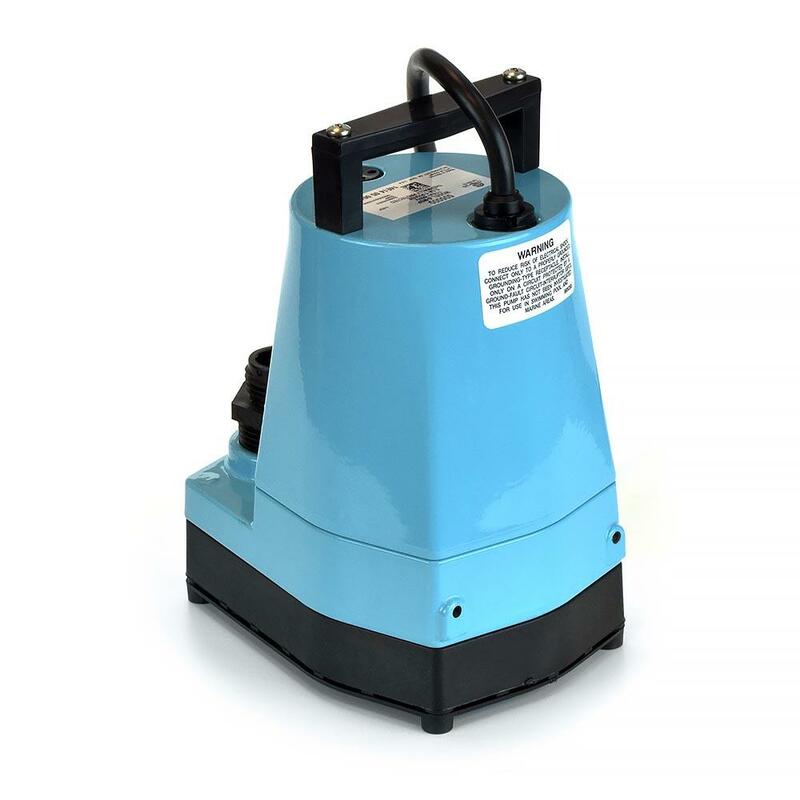 Both 5-ASP and 5-MSP Little Giant utility pumps feature an epoxy coated cast aluminum housing. 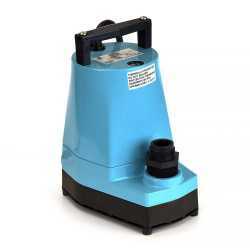 Wide range of de-watering and fluid transfer applications. Dimensions (H x W x L): 7.75" x 4.31" x 6.12"